The Department for Education (DfE) provides additional funding, known as Pupil Premium, in order that specific groups of pupils aged between 5 and 16 years, can be supported in their progress and attainment. The pupil premium funding is not necessarily intended to be specifically allocated to individual pupils and school have the freedom to decide how it can best be spent on eligible pupils. The impact of individual sums may be limited, therefore at Westhaven we have pooled much of the allocated monies to maximise the impact on the pupils’ progress and attainment and wider curricular experiences. 54 pupils this year are classified under our PP indicator and receive Pupil Premium or Pupil Premium Plus funding. We have once again targeted a large proportion the Pupil Premium funding to supply an enhanced level of bespoke support for our pupils. It has helped Westhaven to afford more learning support access, providing key maths and English intervention on a regular basis for those whom need extra support in addition to the quality first teaching they receive in their lessons. 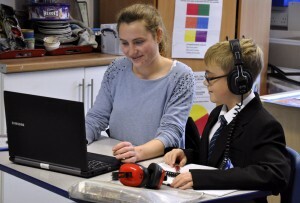 It has also allowed us to deliver increased communication support for our pupils in need of speech and language therapy, social thinking or support for those with additional communication needs. Pupil premium funds 40% of our learning mentors’ salaries. All students have access to learning mentor support; however, some need more support with emotional difficulties on a regular basis. Learning mentor availability has provided support to those struggling to access school due to complex home life and support them onto successful education. Our learning mentors also run workshops on being assertive, raising self-esteem and managing anger. These are run as required either individually for pupils or in groups. Our learning mentors also spend a considerable amount of time supporting students daily through positive books, reward time, 1-1 support to manage friendships and emotions and attending multi-agency meetings for these pupils. Many students use our learning mentors’ skills for support on an informal basis and they provide general support for those who leave the classroom to help them return to learning. Our learning mentors also liaise with other schools to help promote inclusion and attend antibullying workshops with students. Our learning mentors also act as a parent support and lead safeguarding team. This year our learning mentors have worked with 87% of our pupil premium students. 42% of their total work has been with pupil premium students and 100% of their work has had significant or some impact. Throughout the year 61 students received intervention in Maths, English, speech and language or motor skills. 49% of these receive PP funding. 95% made significant progress in intervention sessions. A growing body of literature focussing on the effects of musical tuition on academic achievement reports a positive relationship between music lessons and academic achievement (performancescience.org). A small proportion of Pupil Premium funding was used to fund music tuition for some our pupils to experience clarinet, singing, guitar, drum and keyboard lessons. This tuition enabled a widening of experience and culture as well as instilled a sense of achievement and pride when students performed in special assemblies. This sense of achievement and pride instilled a positive attitude which was evidently transferred into classroom attitude. This tuition has also continued to allow students who have struggling speech skills to find a ‘voice’ within school and partake in school assemblies. As concentration in lessons and on academic studies requires daily physical needs to be met, Westhaven provide a free cooked breakfast club for all their pupils. Breakfast club now feeds up to 30 students daily (equal to 23% of the school population). 48% of students who are eligible for Pupil Premium attended breakfast club. As well as providing a much-needed service, an element of social skills is also instilled at this time as students sit, eat together and help clear up. To help provide enrichment and a variety of equal opportunities to our PP eligible children, some subsidies are made to assist them with accessing the after-school clubs and activities. These clubs include both sporting and academic opportunities. Lots of our learners need specialist equipment or resources available to them. Our PP funding was used to help provide these resources (such as ear defenders, talking tins, individual whiteboards, fiddle toys) to be available in every classroom to ensure our learners have resources they need at their fingertips. We also were able to provide money to allow visitors to come in and enrich the experience of our most disadvantaged pupils as well as utilising outside agencies such as Pause and Engage. Our students have a growing demand for software programs that help them develop their learning and skills, as well as some needing specialist communication apps. PP funding was used to buy licenses for such apps and software programmes. Westhaven will continue using Pupil Premium funding towards additional staffing and breakfast club as the benefits of these features are huge. With any remaining funding Westhaven will continue to link with the Local Authority in looking at ways to use it strategically to develop students’ learning experiences in line with the school improvement plan.